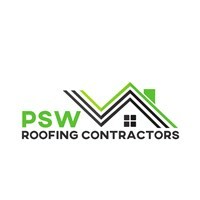 PSW Roofing Contractors - Roofer based in Warlingham, Surrey. My name is Pete of PSW Roofing Contractors and I personally have been roofing for over 25 years. I have worked on every type of build from repairs on small houses, garages and sheds to reinstallation on listed buildings. I have worked with all types of slate and clay and concrete tiles of all sizes. Lead work includes flashings, back gutters for chimneys and lead flat roofs. I am also experienced in the use of mastic asphalt, 3-layer felt systems, single ply membranes, EPDM Rubber Roofing and GRP Fibre Glass. I am a specialist roofing contractor offering services from new roofs to maintenance, repairs and refurbishments for all social, private and commercial clientele, regardless of size.